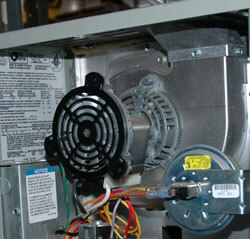 Why Does a Furnace Fan Inducer Motor Fail? 1. Debris in the fan assembly. This can come from roofers, lack of a cap on the roof or an installation error. 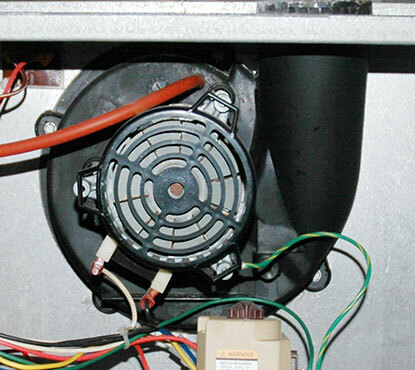 On the motor assemblies, like the Rheem Inducer Assembly shown above, the housing for the furnace fan inducer motor is thermoplastic. If self tapping screws are used to secure the metal vent pipe to the plastic inducer fan housing without first drilling a small tap hole the expansion and contraction differences between the metal screw and the thermoplastic inducer housing will cause the housing to break and fall into the small aluminum blower wheel. The blower wheel is rotating at about 3,000 revolutions per minute. The obstruction destroys the wheel and subsequently the motor. We can help you with this motor problem. Just click on the $39 no obligation evaluation and tune up above and print out the coupon. Give us a call and set up a convenient appointment time. 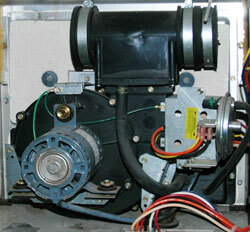 Most of the induced draft motors have fans installed in the motor on the outside. If the tiny blade becomes unbalanced or loose the motor will overheat and burn out. This is also happens when too much corrosion occurs on the blower wheel inside the inducer assembly. We can help you with this motor problem. 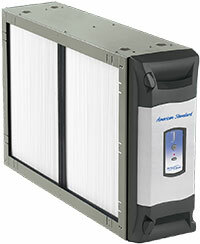 Just click on the $39 no obligation evaluation and tune up above and print out the coupon. 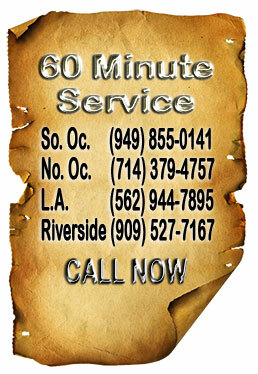 Give us a call and set up a convenient appointment time. Some of thermoplastic housings start to crack after about 6-7 years. 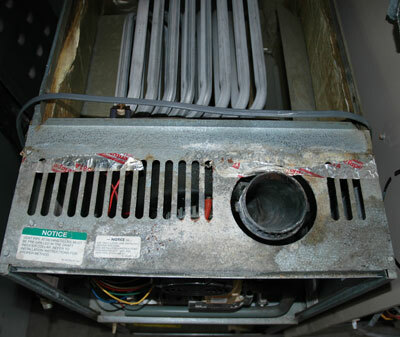 See the pdf at the bottom of the page where a representative of Rheem states that a cracked housing isn’t a problem until the inducer fails to ignite the furnace. That is like saying a cracked firebox is not a problem until someone suffers carbon monoxide poisoning. It sounds a bit irresponsible to me. 4. The Shaft of the motor rusts shut. 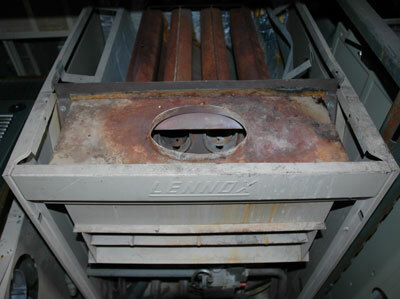 This is caused by no rain cap on the roof and occasionaly by operating the furnace in a corrosive environment. 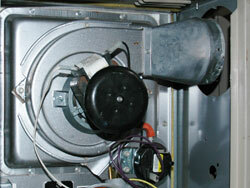 Bleach and household cleaning supllies should never be stored next to the furnace air intake. 5. Short circuit from condensation dripping. This inducer draft motor failure has 2 causes. 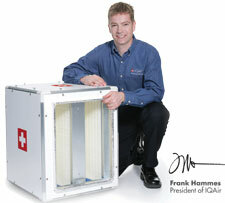 The first cause is when the condensation from the indoor air conditioner coil overflows or leaks out into the motor. The second cause is when the furnace flue is not changed out to a dual wall metal flue and the old asbestos cement flue is left. The flue sweats inside when the furnace starts up and drips down into the furnace.